Jonathan Kwiyega is now the LCMO director since 2018 and has led the WASIMA campaign as the Project Manager since April 2015. 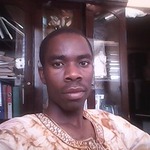 He holds a Masters degree in Science of Management of Natural Resources and Sustainable Agriculture, Sokoine University of Agriculture (Tanzania) and has broad natural resource management experience. He is a teacher, gifted speaker and author of How to Glow Your Genius and Develop Your Talent. Jonathan is also a National Geographic Explorer. WASIMA talks to the Students Conference for Conservation Scientists (SCCS) from 50 countries! Thanks to the SCCS organizing committee delegates for highly recommending the talk to conservation Scientists. Hurray! The Stop Lion Killing Campaign Evaluation Data is Now Collected and Handled to WASIMA Team. The more extra donations coming in will be used towards car repairs to expedite the research, and to visit and prioritize new sites. We appreciate so much your donations. Please support evaluation of WASIMA Campaign in Western Tanzania! WASIMA has been stopping illegal lions killing and creating positive attitude towards lions among the agro-pastoral Sukumas since 2011. Mbede Environmental club teacher and members after discussing the functions and values of lions in nature. Thank you Daniela! It is true that in the past Sukuma young men had to kill a lion to gain prestige. However, to date the need for wealth makes the greatest motivation out of which Sukuma acquire and retain prestige. Most of Sukumas say to acquire wealth from crop cultivation and increasing cattle herds. Thank you Daniela! It is true that in the past Sukuma young men had to kill a lion to gain prestige. However, to date the need for wealth makes the greatest motivation for tradition lion hunting out of which Sukuma acquire and retain prestige.